The name says it all for this Flintstones character. This Bamm-Bamm kids costume comes with everything you need for the authentic, complete look you want. The soft fleece jumpsuit has a Velcro closure at the back of the neckline, and a sash with a plush bone sewn across the front of the chest. The shorts with a stone like pattern are also sewn on. A soft headpiece with a pom-pom attached fits comfortably on the head. The final touch is, of course, the club! This plush club has black lines to look like wood grain. 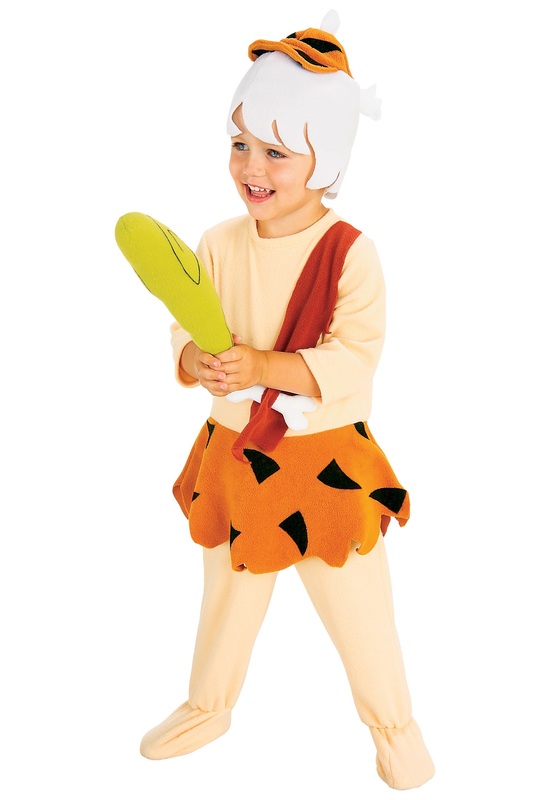 Match this up with our Pebbles costume, or other Flintstones costumes for the perfect group look!